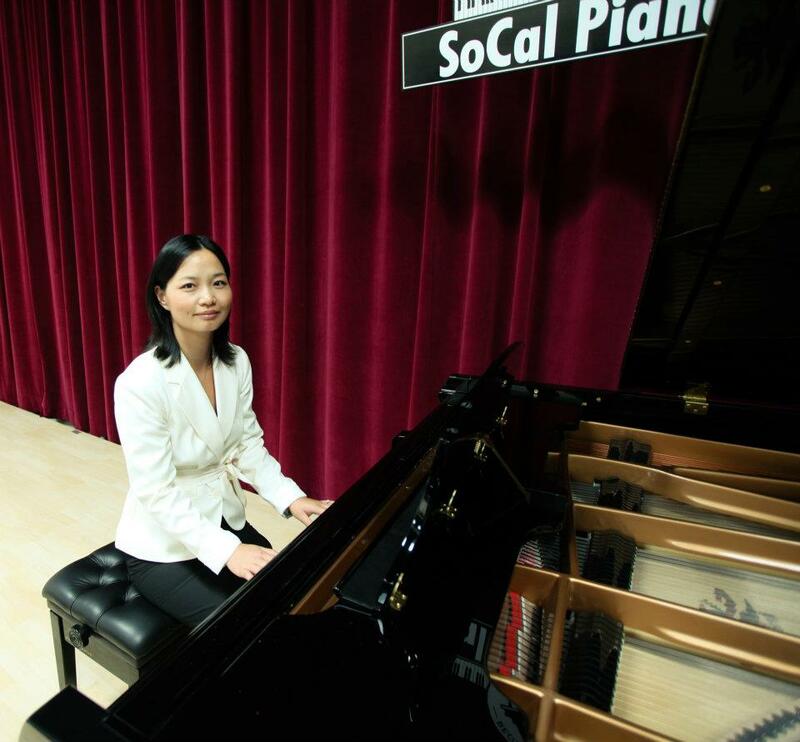 Mei Yin, a member of Music Teachers Association of California, was appraised “a fine teacher” by the official evaluators of Certificate of Merit. She currently works as a piano instructor at Greene Music Education Center, Hope School of Music and Mei Yin Piano Studio. She holds a M.A. in Education from California State University in San Marcos, and a B.A. in Music Education, Major in Piano Performance & Pedagogy from Central Conservatory of Music, Beijing, China. Mei has over twenty years professional piano teaching experience with strong strategies and methodologies for beginning, intermediate & advance levels of piano students. Her piano student was awarded Gold Medal at 2019 International Young Musician Festival AADGT (The American Association for Development of the Gifted and Talented ) and invited to participate in the winners' concert at Carnegie Hall, New York. Her student was the Winner of 2019 International Young Musicians Competition “AADGT XXV” and invited to New York for professional video recordings. Her students received the 3rd place and Honorable Mentions at the South California Youth Mozart Festival 2018. Her students received the 4th place, the 6th place, the 7th place and Honorable Mentions at the Sonata Contests 2013-2018. Her students got San Diego Branch Honors and received the highest rates from the California official piano evaluation of Certificate of Merit yearly. Her students were qualified for national MTAC conventions yearly and have got rewards from official piano competitions. Her students actively participate in various official competitions and festivals. Some of the examples are: The American Association for Development of the Gifted and Talented( AADGT) International Young Musician Festival; The AADGT International Young Musicians Competition; Certificate of Merit; Helen B. Goodlin Competition; So. California Junior Bach Festival; Sonata Contest; Chopin Festival; Popular Music Festival; South California Youth Mozart Festival; and the Steinway Piano Competition. She enjoys teaching very much and knows well about Early Childhood Education, Children Psychology, Musicology, Music Aesthetics, Music Education, Piano Pedagogy, etc.. She respects each student's own pace and makes individual teaching plan for students. Mei has very warm personality and has sincere and friendly long term relationship with her students. Mei's teaching goals are to develop and motivate students' music interests, cheer on students' every achievement and progress. 她的学生积极参加各类官方钢琴比赛和音乐节。例如：The American Association for Development of the Gifted and Talented( AADGT) International Young Musician Festival; The AADGT International Young Musicians Competition; Certificate of Merit; Helen B. Goodlin Competition; So. California Junior Bach Festival; Sonata Contest; Chopin Festival; Popular Music Festival; South California Youth Mozart Festival; the Steinway Piano Competition.